The Korouoma Pant is technical all-season hiking pant with a great shape, loads of customization, yet it is easy to make. 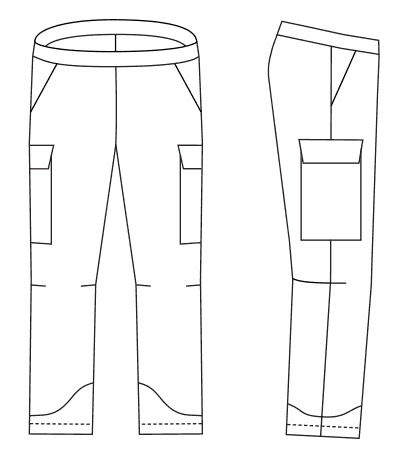 The wide elastic waistband and high back keep the pants up, and eliminate the hardest step in making pants: the zipper. 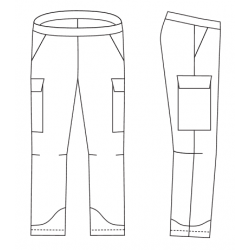 The multiple pocket options, shaped knees, cuff reinforcements and snow cuffs make this a very versatile pattern; from light summer pants, to waterproof rain pants and lined winter hiking over pants. The pattern is in full-scale (all sizes) and comes on A3 pages, easy to reproduce on a copy machine. This version is specifically designed with a cut for women.